When you’re up to your ears in decisions regarding the big day, one aspect of the planning process that should be the least stressful and the most amount of fun is setting up your wedding registry. 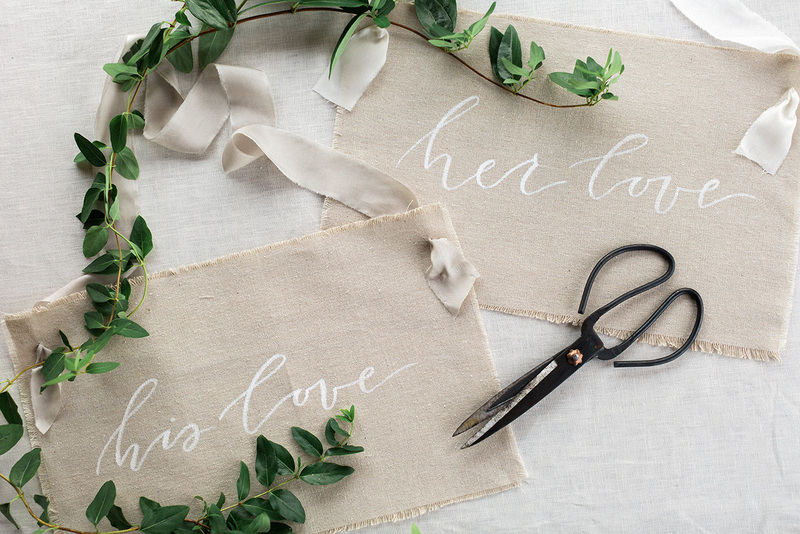 It’s a welcome distraction from choosing napkin colors and organizing your seating chart, and it’s about to get even more effortless to ensure you get the gifts you want, thanks to these helpful wedding registry tips from our friends at Zola! First, make sure you add enough gifts across categories. Guests like to have a lot of options, so they can find something in their price range that also feels like it reflects them. Zola is perfect because you can register for gifts, experiences, and honeymoon/cash funds in one place. The planner feature will also tell you the number of gifts to register for in each price range based on how many guests are attending your wedding. Second, personalize your registry by writing a welcome message and notes about what you’ll use each gift for. 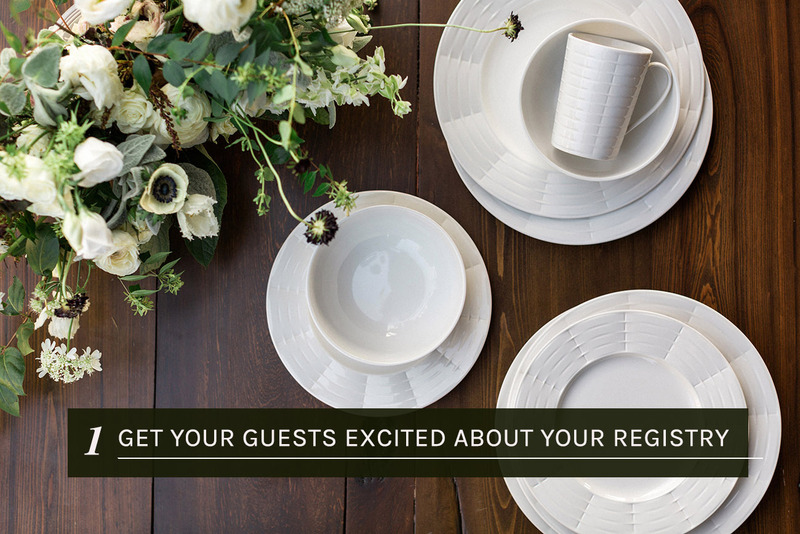 When the registry feels meaningful to you, your guests will gladly want to contribute to it! You’ve probably heard it’s insensitive to register for expensive gifts. But with Zola, you can mark any item you want for Group Gifting, and multiple friends can chip in for it. So go for it! 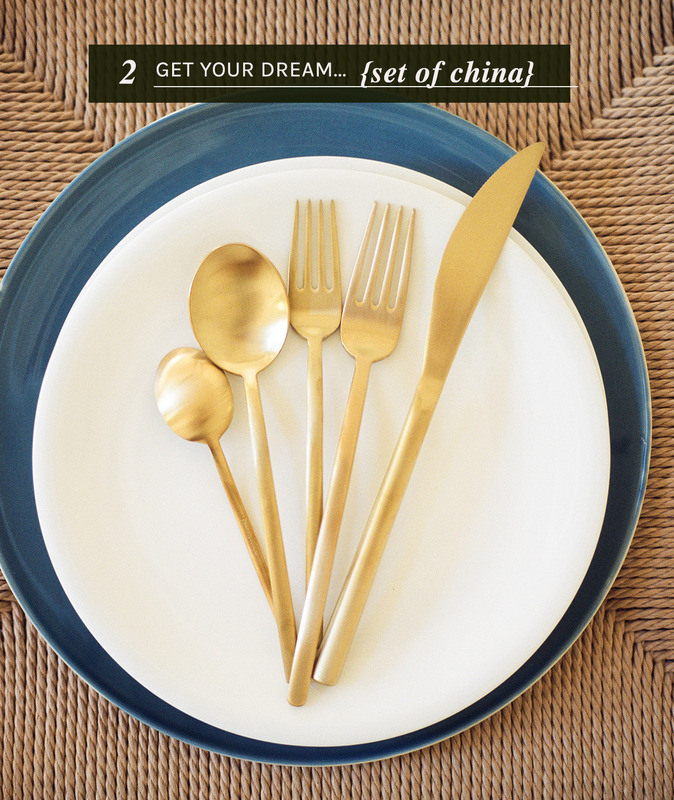 Put that sofa, television, KitchenAid Mixer, or dream set of china on your registry. 1. Control shipping: get notified when a gift is purchased, then decide to ship now or hold for later. 2. Online gift swap: swap gifts before you even receive them or convert them to credit. 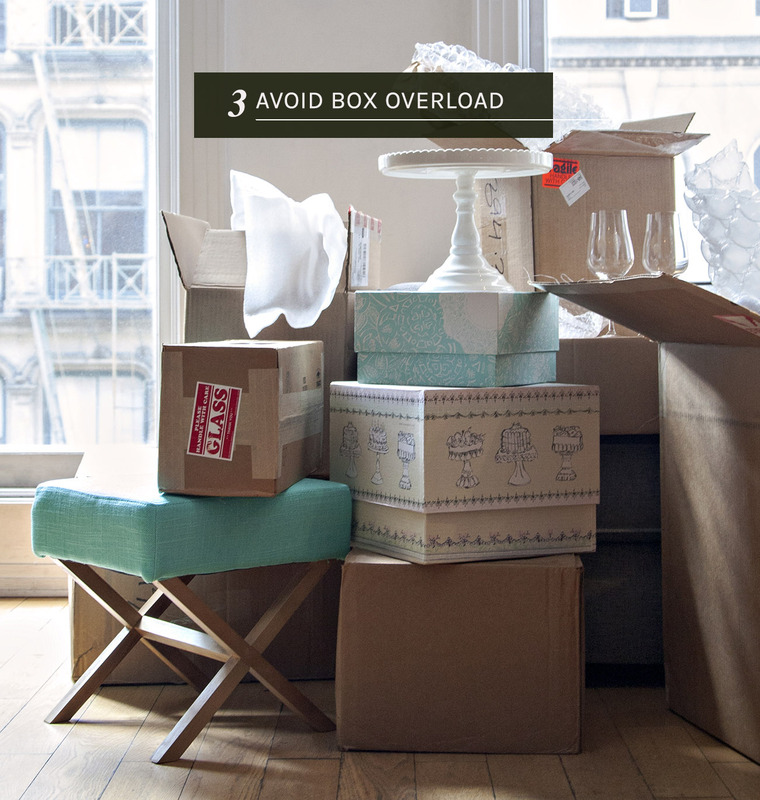 Tip # 4: Save time. Period. Skip the store. 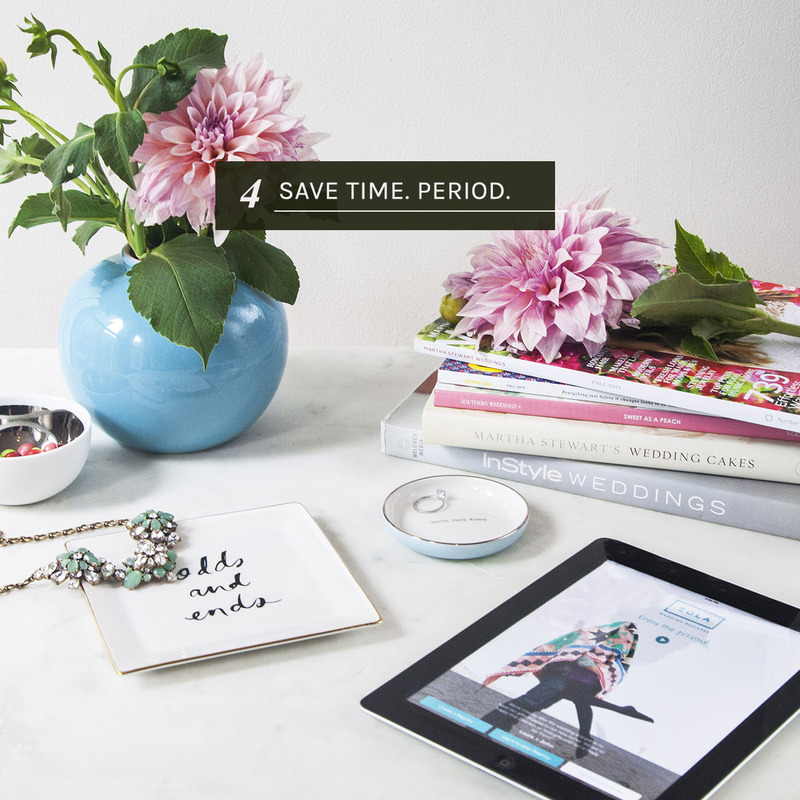 Whether you’re on your couch multitasking while watching Scandal or on-the-go between meetings, Zola makes it easy to create and manage your registry from their website or iPhone/iPad apps. 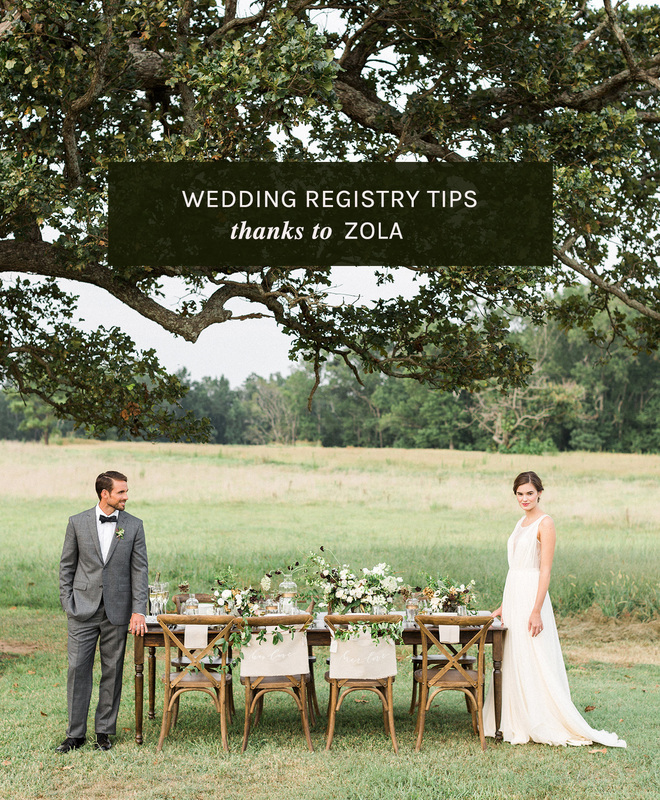 Easily kick start your registry by adding gifts from Zola’s Registry Checklist or Starter & Style Collections. When all’s said and done, use the Thank You Manager to export a list of who got you what and when. Even if you exchanged their gift, you’ll know what they bought you originally. 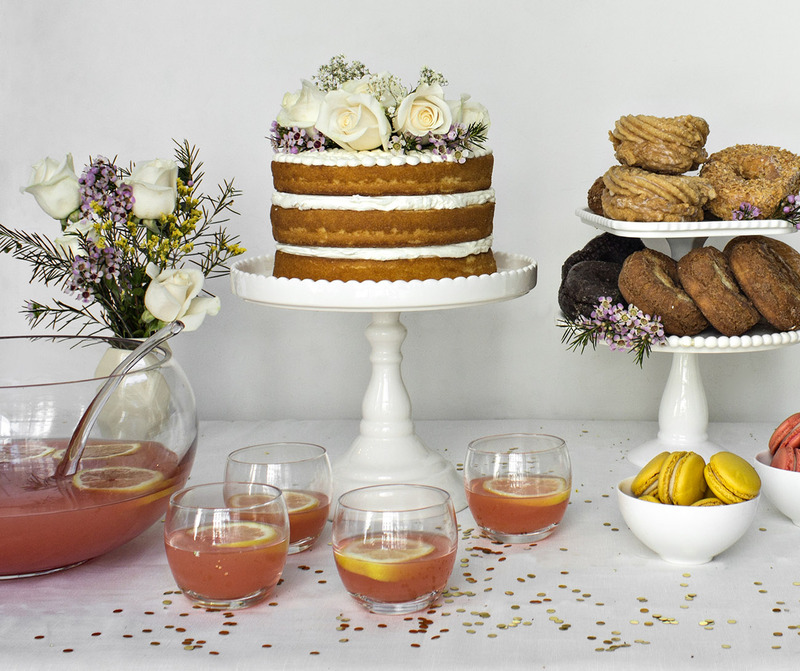 And some good news for those of you setting up your registry now, or soon: Green Wedding Shoes readers will receive $25 to spend on Zola when they set up their wedding registry! New registries must be started (but not necessarily published) between 1/12/16 – 4/11/16. Credits will be placed into the couple’s Zola account 4 weeks after a couple’s registry is published live. 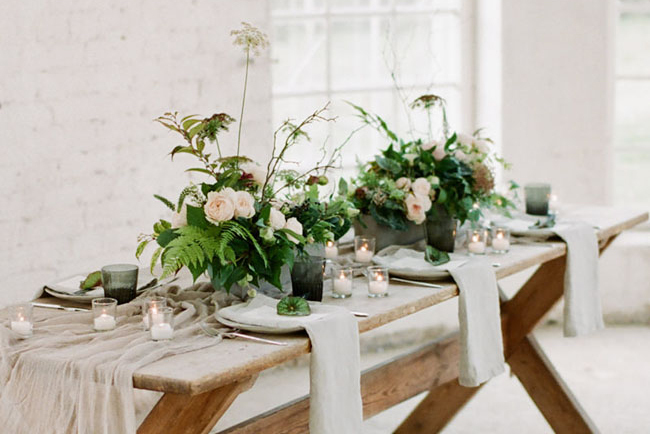 For some wedding registry inspiration + eye candy, be sure to follow Zola on Instagram! I am falling in love with Zola! 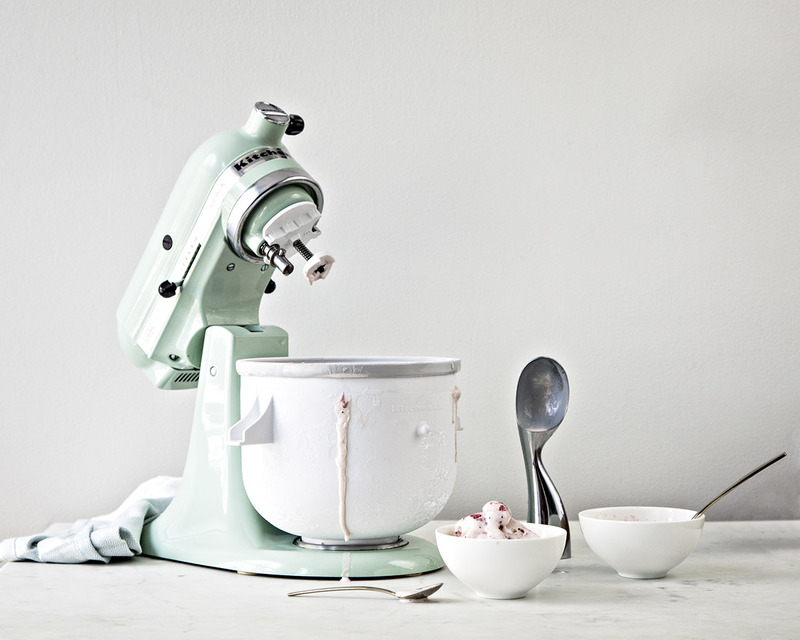 Who doesn’t want a registry filled with all of their favorite things? I have to ask about the photo above of the bride and groom. Where can I find the dress she is wearing?? Thank you!